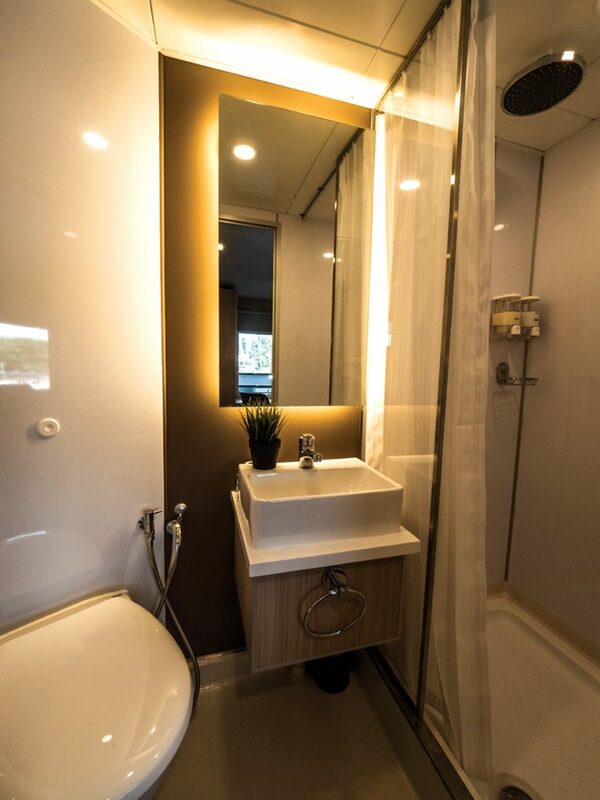 The vessel being a catamaran carries many advantages - One of the important ones being space. There's never a shortage of it on board and you'll find that the same goes for the rooms. 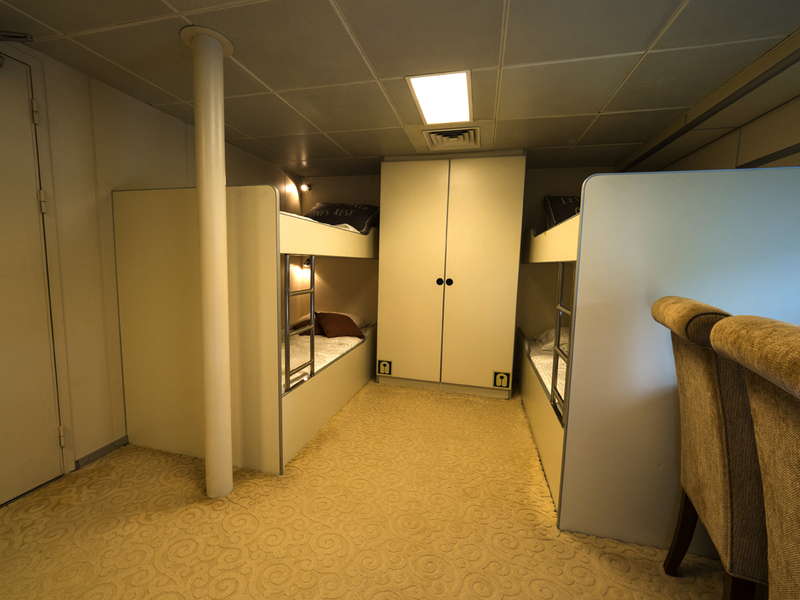 Spare yourself of the confined scrambles below deck to reach your cabin - Not one of Solitude Adventurer's cabins is below the main deck. 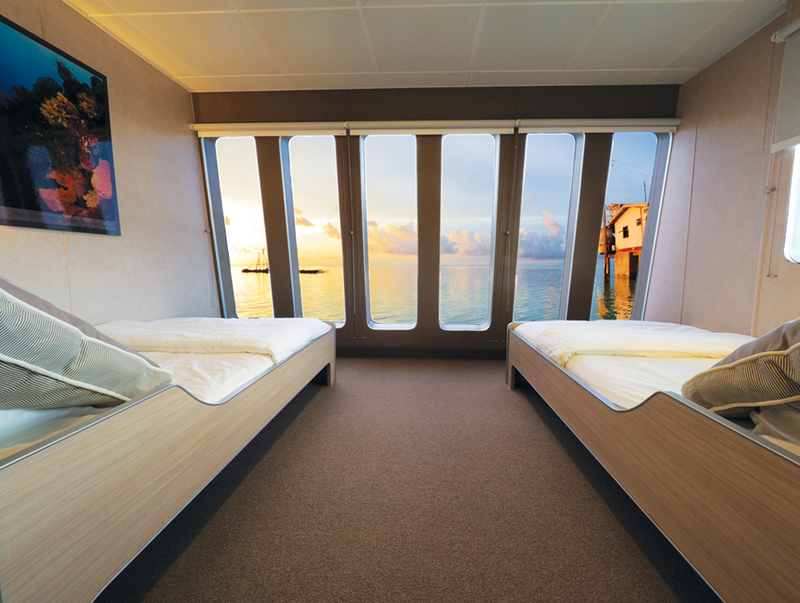 Experience the beauty of the ocean from your bed, with massive windows for you to fully enjoy any sunrise or sunset! Equipped with 3 Room types, each with ample space for rest and relaxation, we guarantee there will be something to suit you! 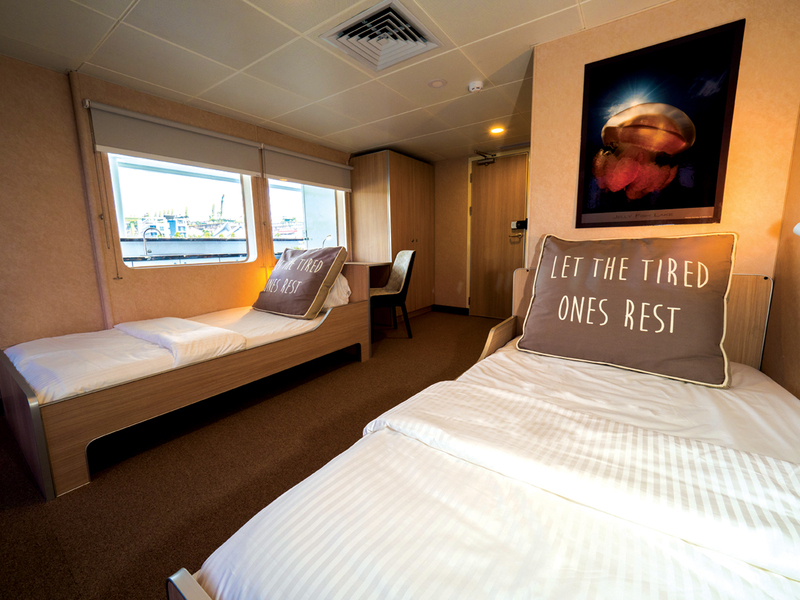 Choose from our 1 Stateroom, 6 Deluxe Rooms & 1 Quad Cabin. The highest of our room grades. 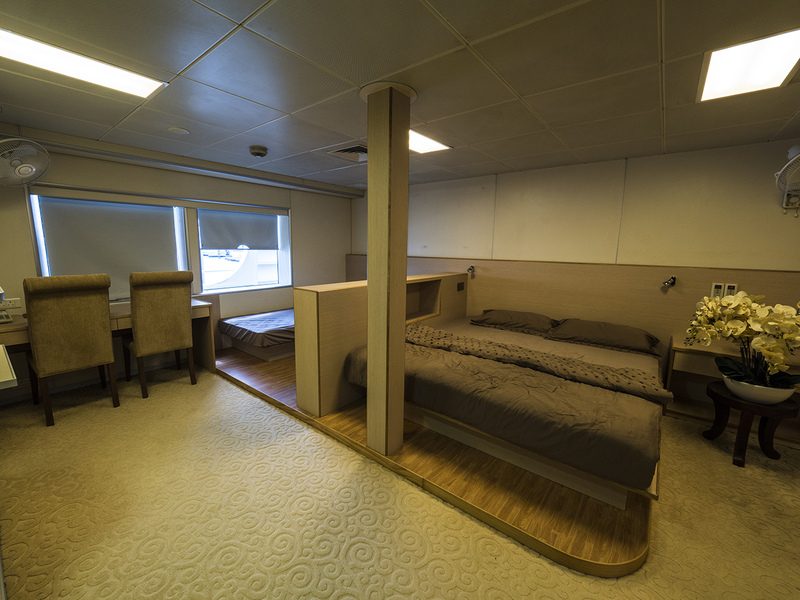 This 1 Stateroom was originally the only room on board when the vessel was privately owned. 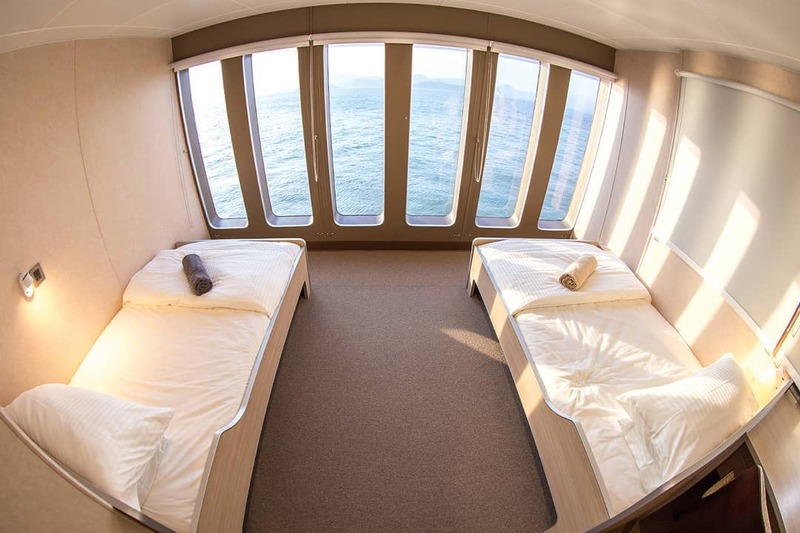 These 6 Deluxe Cabins are all on the second deck over-looking the ocean and ever-changing scenery. Our only 4 person cabin on board. This room is perfect for friends and family who wish to all share a room together.